Heading to the new Toy Story Land in Disney World’s Hollywood Studios? There’s a lot to see but if you don’t look closely enough, you might miss some of the best stuff! 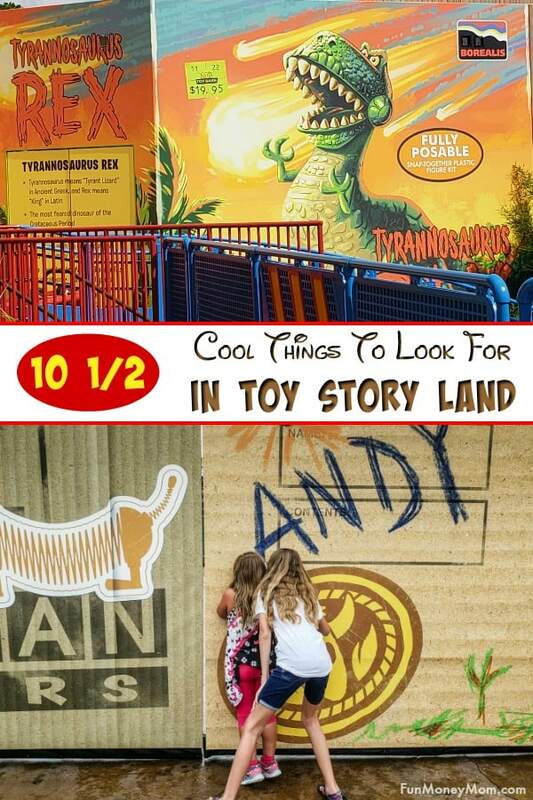 Check out our favorite things to look for in Toy Story Land! Thanks so much to Disney for providing my family with tickets to spend the day at Toy Story Land. This post also contains affiliate links. 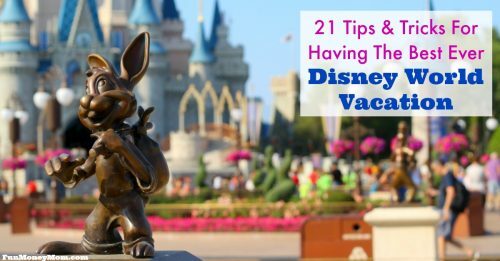 Yes, if you haven’t figured it out by now, we’re a little Disney obsessed! Okay, we’re TOTALLY Disney obsessed! 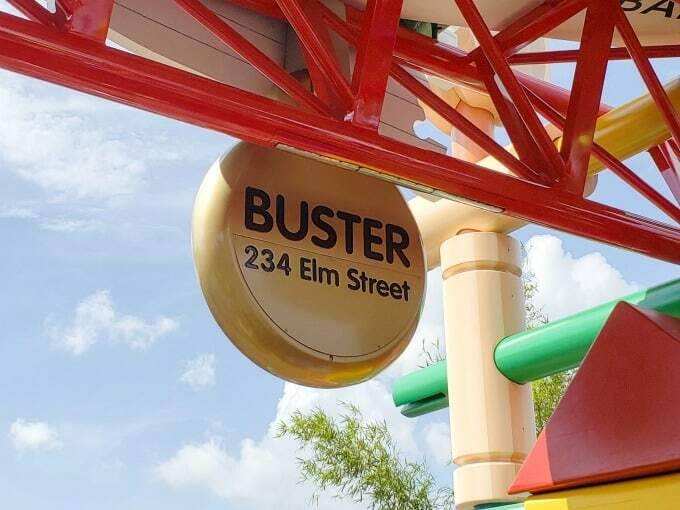 That’s why we were so excited to be able to check out the new Toy Story Land when it opened this summer. We’ve always loved the Toy Story movies so how much fun is it to be able to walk through Andy’s backyard surrounded by giant toys?! These were some of the things we thought were super cute and fun! If it’s crowded, you might just miss these. In fact, I totally missed them the first time I walked through the park. 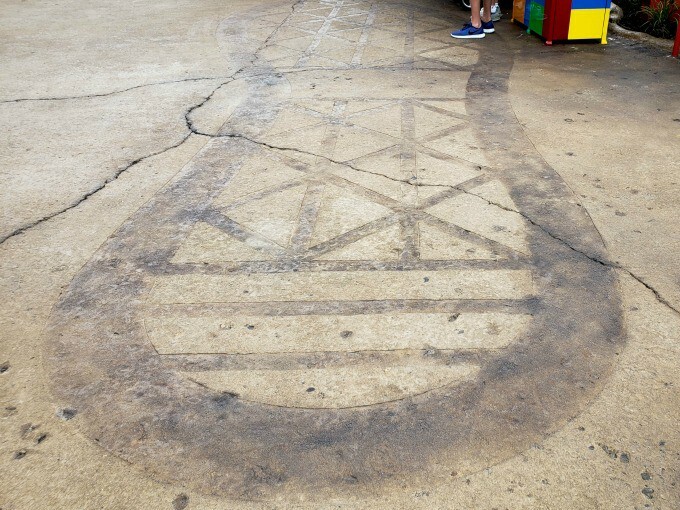 However, if you look down and there aren’t TOO many people running around, you can see Andy’s giant footprints all through Toy Story Land. 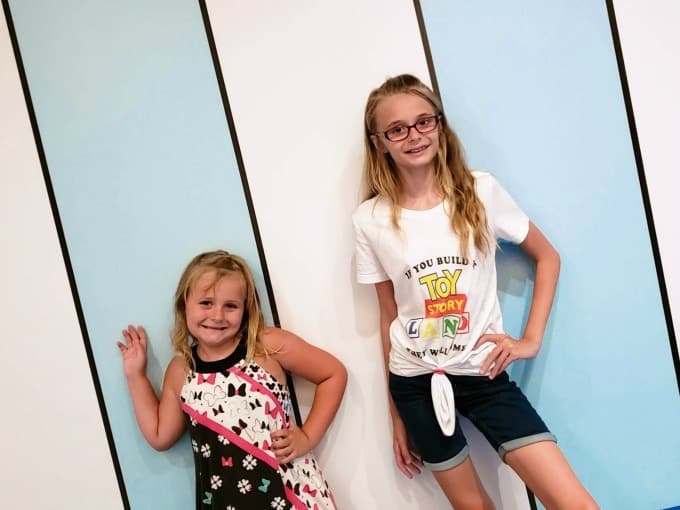 The Toy Story Land Instagram walls are so awesome that I wrote an entire post on them. You can find the most popular one, known as the block wall, between the men’s and woman’s restroom at the far side of the entrance. 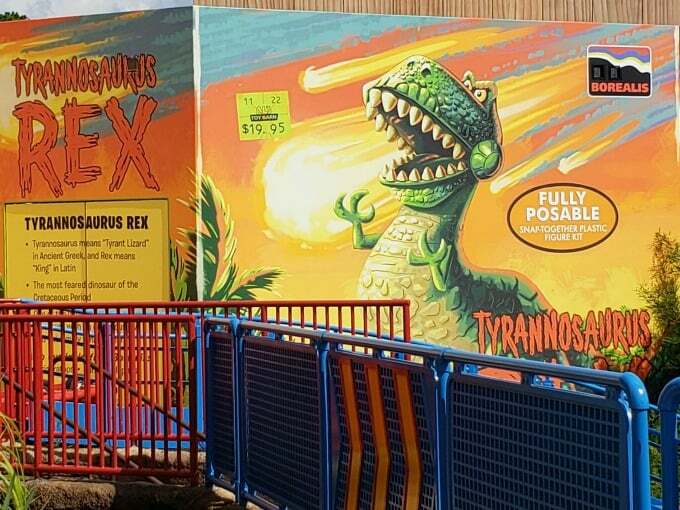 Keep your eyes peeled for more Instagram Walls around Toy Story Land. You may even discover your own like my girls did. Check out more of our favorite Instagram walls here. Everything is fun in Toy Story Land, even the height checker (probably not the official name for it but that’s what we call it). Recognize this guy? 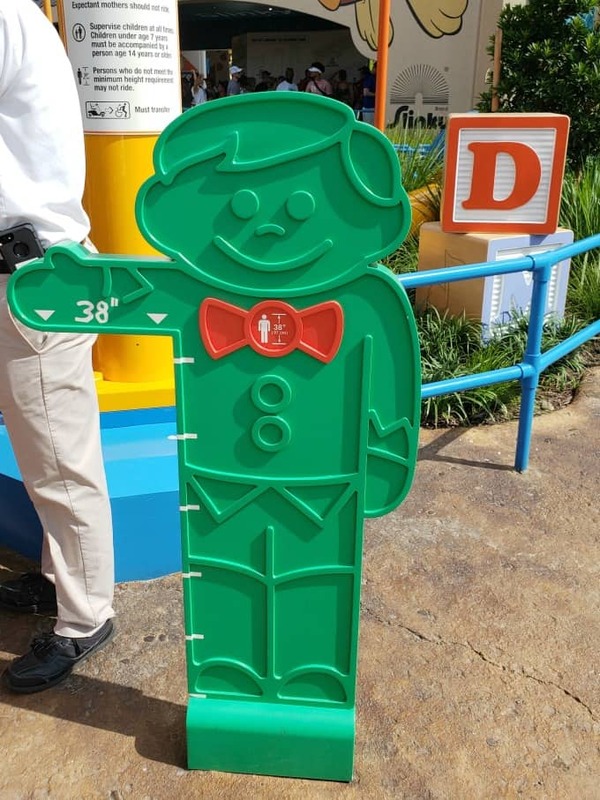 He’s one of the Candyland pieces…it’s even fun to see if you’re tall enough. Side note: It’s a GLORIOUS day when your children are finally tall enough to ride every Disney ride! Keira has finally hit that landmark and who knew that my little daredevil would love the Rockin’ Roller Coaster so much. Like mother, like daughter I guess! From the front, this just looks like regular a dog tag. However, as you pass under it to get in line for the Slinky Dog Dash, take a quick peek at the back. It’s actually Buster’s tag, complete with address. 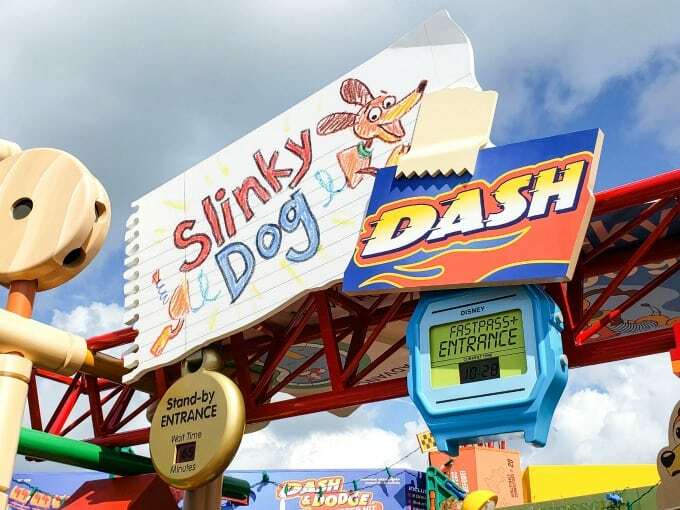 As you enter the Slinky Dog Dash, Rex is right there, fierce as can be in his original box. Check out the price tag from Al’s Toy Barn as you walk by. 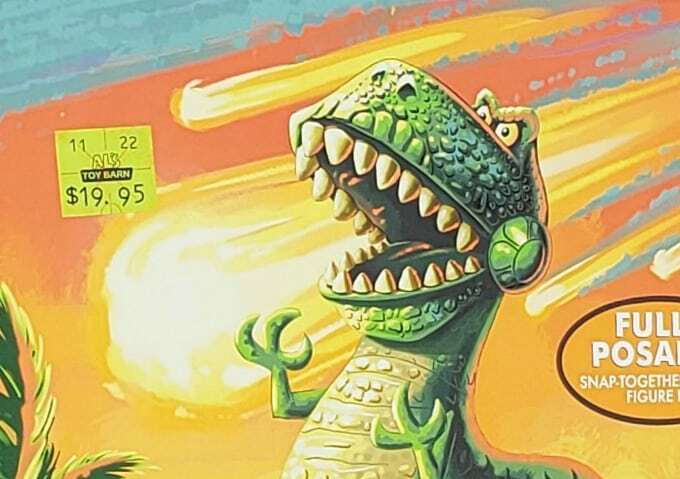 If you don’t immediately recognize the significance, 1995 was the year the original Toy Story came out in theaters. All these special touches are part of the reason why Disney is my favorite theme park! You know it’s not Disney unless there are hidden Mickeys throughout the park! 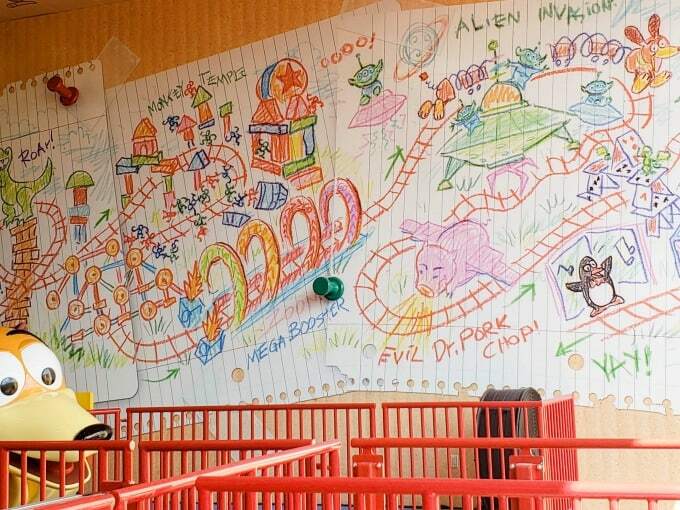 These may just look like Andy’s blueprints for the Slinky Dog Dash. Take a closer look and see if you can find the hidden Mickey. 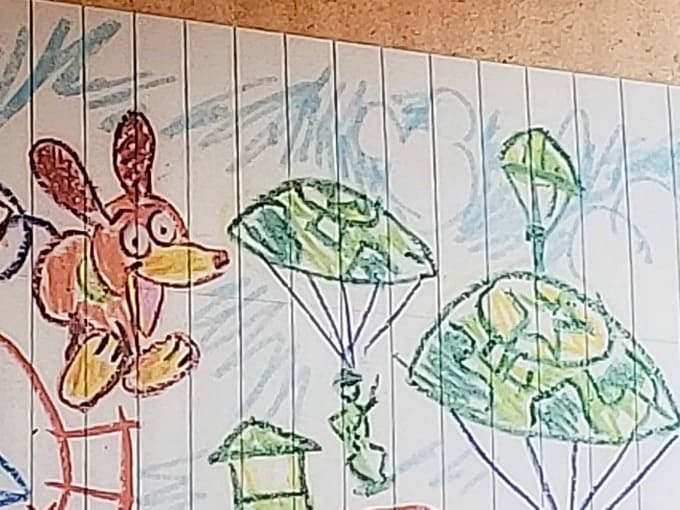 We found this one on the wall of the Slinky Dog Dash but I’ll let you find the rest on your own. 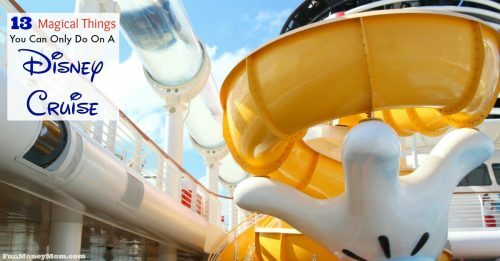 You don’t want us to spoil all the fun, do you? Here’s a hint though…you’ll find at least one more in the first drawing above. 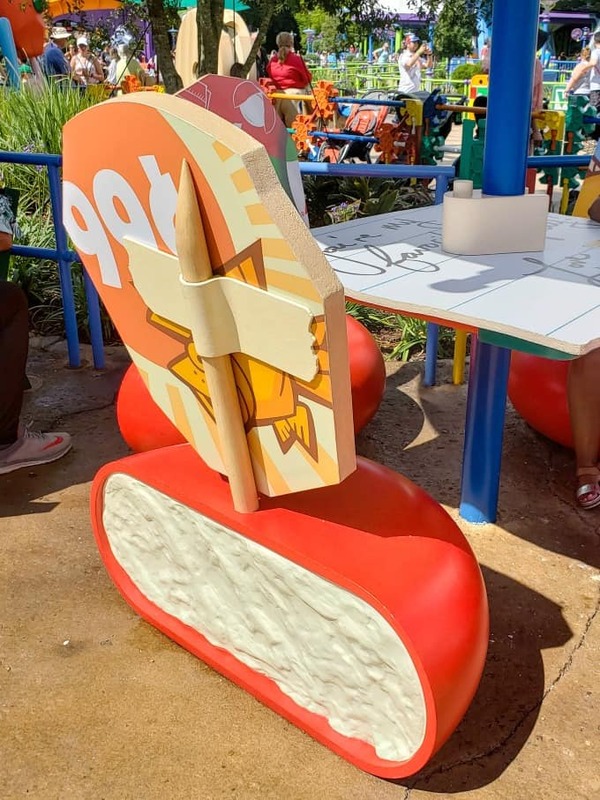 There are no ordinary benches in Toy Story Land. Everything is a toy, including the benches. You can rest on a bench made of dominoes or this one made from a toy track. If you eat at Woody’s Lunchbox, sit in a chair made of Babybel cheese. 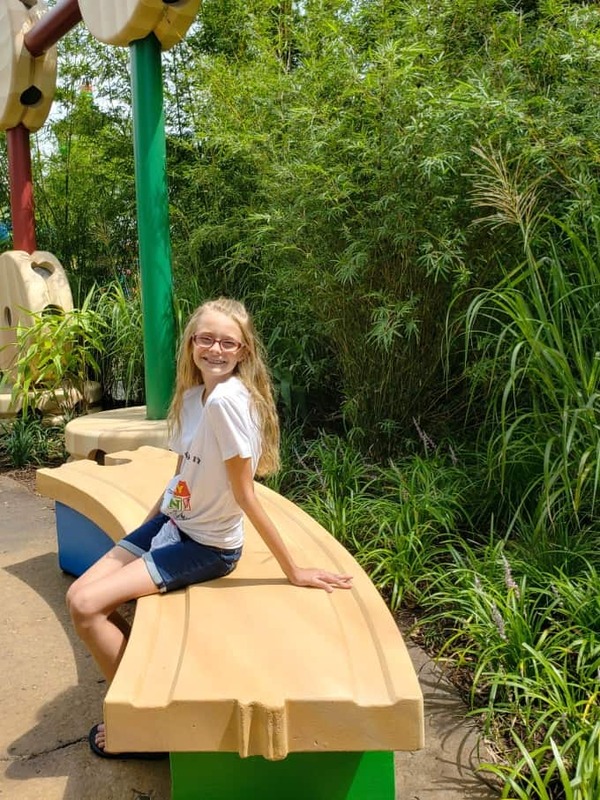 There are also super adorable benches made from popsicle sticks but they must have been pretty comfy. There were ALWAYS people sitting on them so I couldn’t get a good picture (no way were my kids going to sit and wait for me to take a picture of a bench). Just take my word for it…they’re really cute! 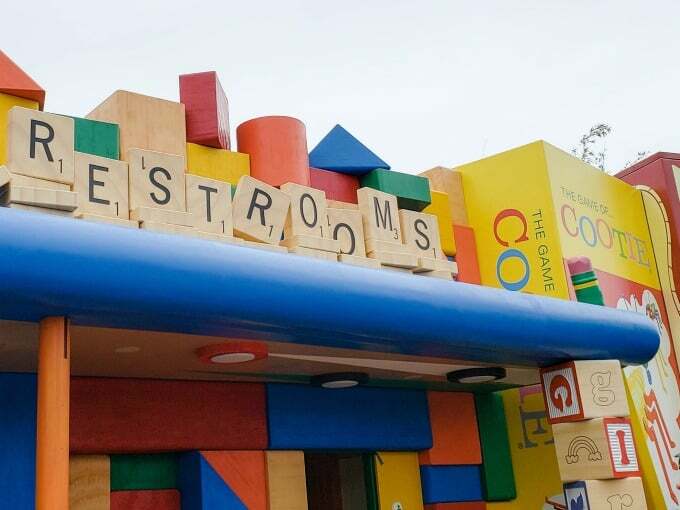 If you head to the restrooms, watch out for Cooties! Okay, it’s Disney so you know the bathrooms are actually super clean. However, look to the right as you walk in. We thought it was pretty funny that they put the Cooties box right there…so appropriate! You do not want to miss the Green Army Men…they might just be one of my favorite things to look for in Toy Story Land! We loved the Drum Corps but it’s also pretty entertaining to watch random Army Men walk through the park and make kids (and sometimes grown-ups) drop and give them 20 push-ups. Luckily they didn’t get me…I’m pretty sure I couldn’t even do more than one, if that! Okay, technically this isn’t part of Toy Story Land…which is why I gave it a 1/2 point! However, if you’re excited about the opening of Star Wars Galaxy’s Edge next fall, this seems to be the best place to get a sneak peek! 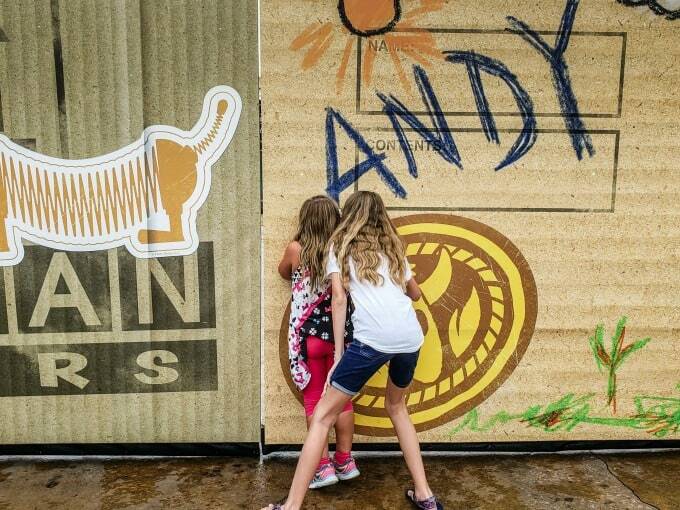 After you take your pictures at Andy’s wall, peek through the little hole under the “A” for a glimpse of what they’re building on the other side! 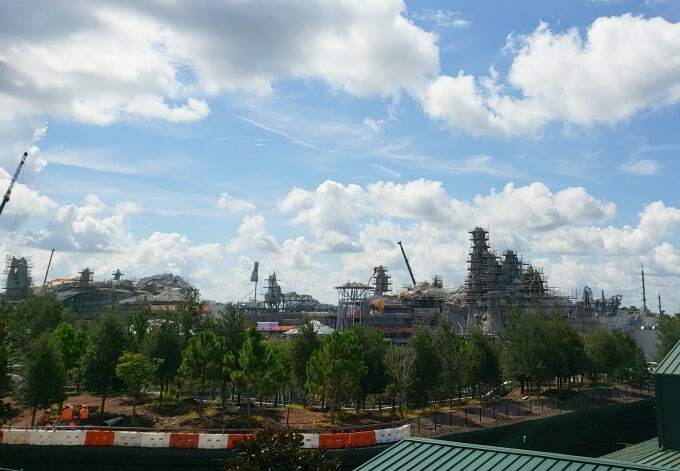 You’ll also get a good view from the Slinky Dog Dash! Looks like it’s going to be pretty awesome, right? If you can’t wait until next fall, head to Disneyland next summer when Galaxy’s Edge opens there. There is so much more to see in Toy Story Land and these are just a few of our favorites. If you’re looking for a comprehensive guide with EVERYTHING you need to know, check out my Ultimate Guide To Toy Story Land! 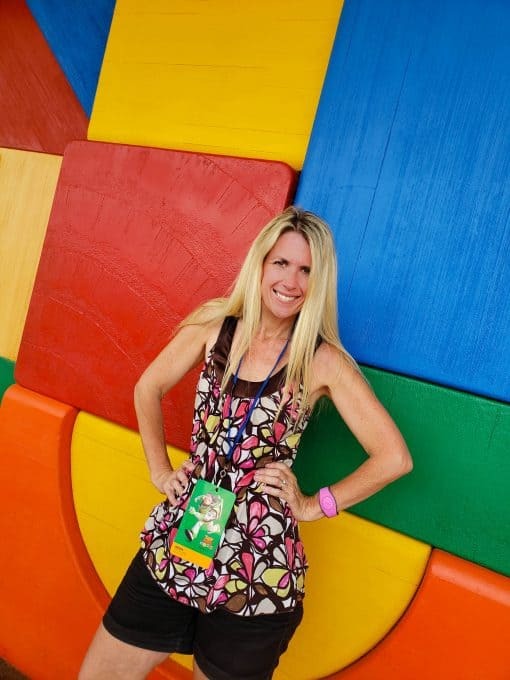 Have you been to the new Toy Story Land yet? What did you love most? If not, what are you most looking forward to seeing when you do go?